Living Trusts for Everyone is the best resource for setting up a living trust. 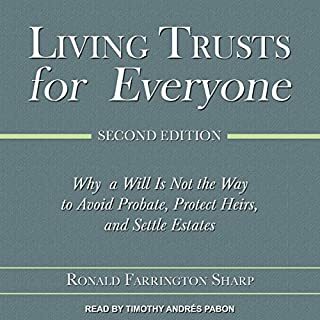 Explaining in specific terms what benefits a trust will have, Ronald Farrington Sharp gives the tools necessary to set up a loved one's trust with no lawyers and no expense. Wills benefit lawyers. Trusts benefit the clients. Too often lawyers sell wills to clients only to sit back and wait to sell their probate services to their clients' heirs. Ronald Farrington Sharp describes the best way to handle modern estate planning. The End of Lawyers, Thank Goodness! 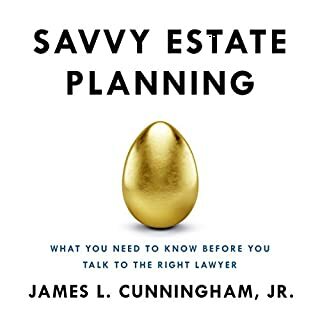 An A-Z book (from the basics to advanced planning) on estate planning by two estate planning tax attorneys with over 50 years of combined experience as estate planners. Also find out whether you even need an attorney for some of the planning you may need to consider. Finally, find out the secret to using estate planning attorneys more efficiently. 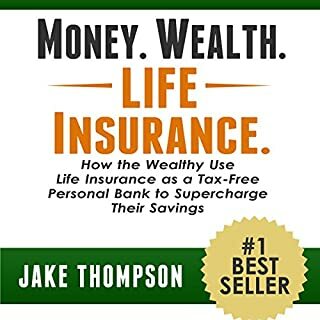 Filled with real-life case examples, Estate Planning for the Healthy, Wealthy Family combines a positive attitude, deep psychological insight, and "hard" financial know-how for passing on money between family members while keeping relationships and values intact. 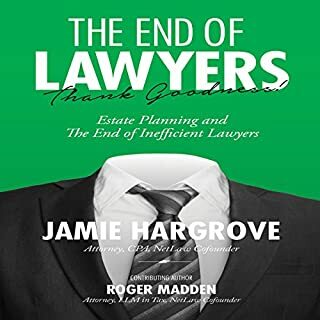 The complexities of planning and administering an estate are clearly explained in this up-to-date and authoritative guide. From wills, trusts, powers of attorney, and health care directives to probate and administering an estate, it's all here in plain English. Any good financial plan must address how to preserve what you earn. Though tax law and inheritance laws constantly change, this presentation will give you a clear "big picture" on the basic pitfalls and opportunities in this potentially complicated (yet vital) area of financial planning. 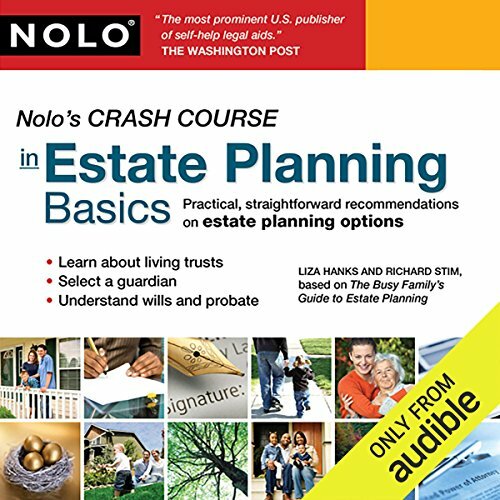 Nolo's Crash Course in Estate Planning Basics gives you the essential information you need to get started with your estate plan, whether it's preparing a will, creating a living trust, or establishing a medical directive and power of attorney. 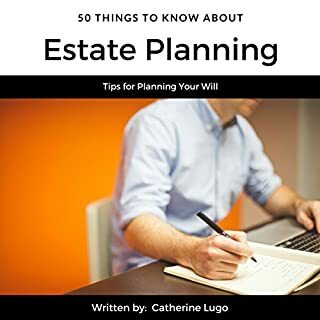 This two-hour program outlines proactive steps that are crucial and should be taken immediately, and explains which estate planning decisions can be delayed. 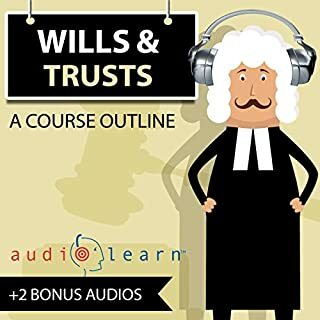 You'll learn how to choose a guardian, leave money for children, avoid probate, name beneficiaries, create payable-on-demand accounts, keep your estate plan current, and much more. I was using this as a refresher and update to my general knowledge, for my personal use. This touches on all questions I had. The pointers sometimes extend even to costs of various alternatives. There are suggestions of when lawyer assistance is more imperative, or less. It is nice to have the somewhat greater distance than is found in some seminars where the presenter is imperceptably moving into a sales pitch. The presenters seem not to be professional narrators. They talk fast, and I found a slow setting better for listening. Also, there are occasional plugs for their website. However, these were not obtrusive, and stood beside lots of good solid information. The standard disclaimer is, there is no substitute on any legal matter for consulting with a trusted lawyer. But this is a great introduction for anyone. she talks too fast but good information. why she had to talk fast is beyond me but I still recommend. short and sweet makes for a good introduction. A great audio book. has a lot of good information everyone will need. I was it was longer and maybe could cover more resources we could use it get things set up. they do mention a few web sites to go to .